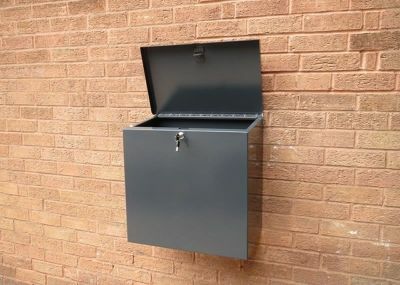 P1 - Parcel Drop Box is a simple stylish parcel drop box, which allows the delivery of a parcel; This can be bolted to a wall or floor, the heavy-duty mini parcel delivery box is made from weatherproof galvanized steel and is fitted with a tough locking system, keeping your items safe, secure and dry. The P1 Parcel Box has a large top opening lid and a push locking mechanism on the box. 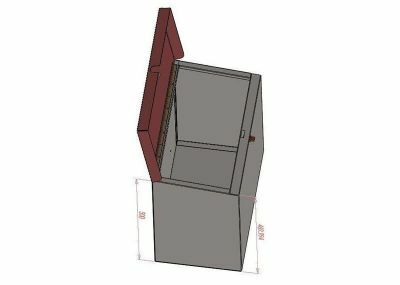 The top opening lid is left closed but unlocked until your parcel is placed in it. The delivery person opens the lid, scans the barcode on the lid, then activates the lock by simply pushing in the thumb push lock on the top of the parcel box. 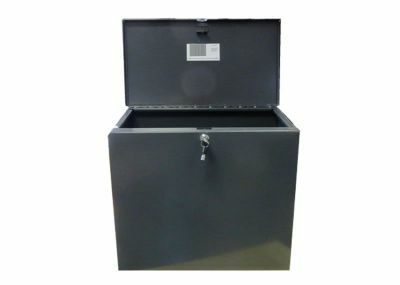 As the unit is bolted to the ground or wall your parcel is now secure and dry. 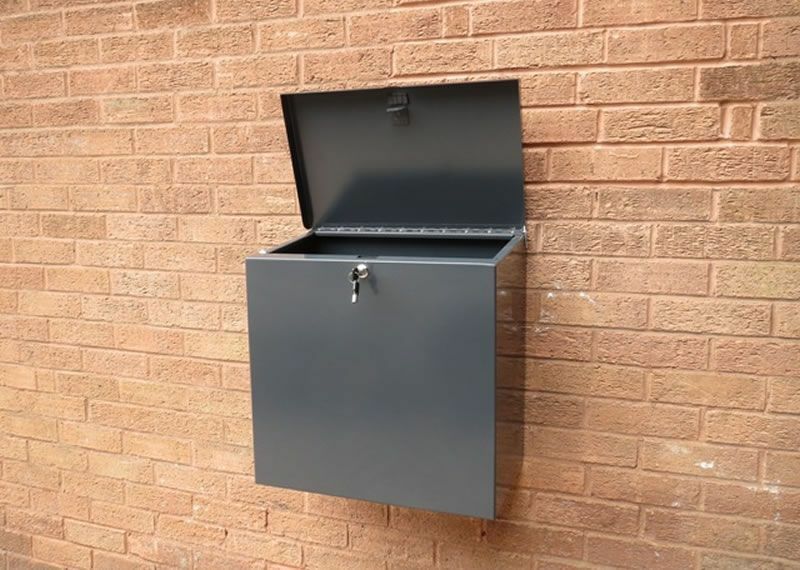 You can then simply unlock your parcel box when you return home. In normal circumstances your unique barcode will be generated with your name and address on it, should you have any additional or different information needed you have the opportunity to give specific instructions at checkout.